This entry was posted on Wednesday, June 13th, 2012 at 2:27 am and is filed under Uncategorized. You can follow any responses to this entry through the RSS 2.0 feed. You can leave a response, or trackback from your own site. i N migrants? Why is Iron Guy calling them immigrants? Does he think he is in America or something? Granted though, he is drunk. And Jinx is, as always, great. 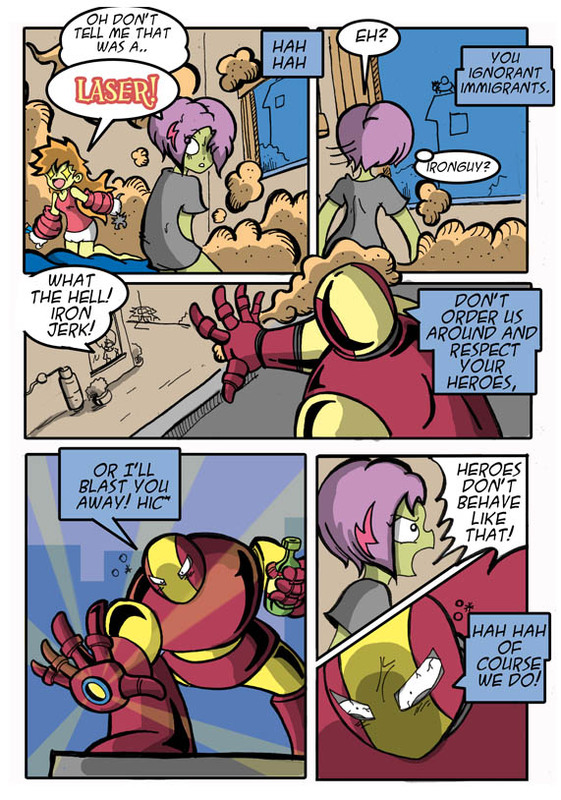 man Iron Guy you’re making us look bad.